The parenting mobile app is also partnering with the American Academy of Pediatrics. The parenting mobile app Bloomz is introducing today a set of features tailored to childcare centers, including check-in/check-out attendance and daily sheets to keep parents on top of their kids’ everyday activities. To further its mission to connect parents with their children’s world, Bloomz is also partnering with the Ohio chapter of the American Academy of Pediatrics (AAP) to educate parents across the country on a variety of topics relevant to raising children. The availability of this content to all childcare providers and schools across the United States. Through this partnership, Bloomz will share critical information about a wide range of topics, including how to reduce sudden infant death syndrome (SIDS); constructive disciplining; screen-time management and reading to children. The service is free. 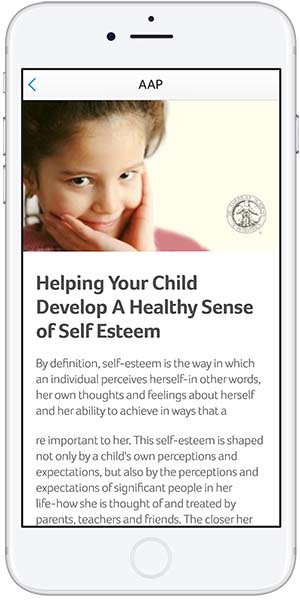 “The unique features and functions of the Bloomz platform will not only help us delver content to parents, but also help childcare centers and schools engage better with them — and we all know that the best way to help kids reach their full potential is to have parents involved as early as possible,” said Dr. Judy Romano, past president and project medical director at Ohio AAP, in a statement. Bloomz has been experiencing rapid growth recently owing to its feature-rich platform that helps teachers communicate and coordinate with parents, according to a news release. Bloomz’s service is now available to all childcare centers and schools in the United States, and the AAP content will start appearing in the app as early as March, the company said. Interested organizations should sign up for a free Bloomz account and participate in this service by going to Bloomz.com/childcare. Once registered, they will also receive an emblem in recognition of their ability to provide this service to parents. For more information about Bloomz, visit the company’s website.